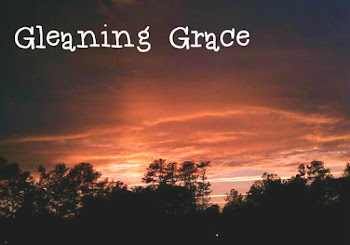 Gleaning Grace: First date, First Date, Second Date? 1.) Describe a memorable first date. 2.) Write about a child you find inspiring. 3.) What do you find most challenging about blogging? 4.) Name a pet peeve you have about how other parents raise their kids. Go on…stir the pot. 5.) We often spend time and energy talking about people in our lives we don’t see enough of. Describe a person in your life you are in contact with often. What does he/she mean to you? 6.) If you could thank your mom for anything, what would it be? Create a video thanking her for something. BUT I think I'll write about #1. In college, I dated a guy I'd had a crush on for two years! We met our freshman year through mutual friends, but both were involved with other people. We continued to see each other around campus and eventually had a class together the Fall of our Junior year. Still attached to other people, we were study partners and nothing more. Both of us ended those relationships before the semester was over. It wasn't until after the holidays and the start of the new semester, that Mr. Crush asked me out. The problem was, I also knew his good friend and roommate ~ we'll call him E. Well E and I had a class together Spring semester and out of 200 kids in the class, were RANDOMLY selected by the professor as study/lab partners. Somehow we had already begun flirting by the time Mr. Crush asked me out. Had even already kissed a few times and spent the better portion of a night together (only talking and hand-holding). We sat beside each other in class and the corresponding lab 4 DAYS a week! So when E came to class and said Mr. Crush had been planning to ask me out, I didn't know what to say. I mean, I'd waited years for this! But NOW? Now? When I was starting to like E?! Like, REALLY like him; in a way I couldn't explain. There just seemed to be electricity between us. I didn't know what to do, so I asked E what he thought. He said he thought he should back off so that Mr. Crush could ask me out. I wasn't sure I liked that plan, but the last thing I wanted was to come between two friends. a group outing which included E and all of us on ice-skates. I actually ended up holding hands and skating with both of them that night, only adding to my confusion and internal turmoil. While I hate to gloss over the details, let's just say Mr. Crush and I continued to date for a couple of weeks. During that time, it was becoming more and more clear to me that Mr. Crush was not someone I could see myself with for an extended amount of time. We actually had a lot in common and were very alike; sometimes that's good, but sometimes being alike can cause conflict. About 2 or 2 1/2 weeks after we started "dating," Mr. Crush had to go home for the weekend. Before he left, he kissed me good-bye and told me he loved me for the first time. And as TERRIBLE as it felt, I couldn't say it back. I didn't feel that way, or at least, I wasn't sure yet ~ it was too soon! So Mr. Crush left for the weekend. Only, he asked his friend and roommate E to hang out with me while he was gone. We went to a party together at some of his friends' places. We spent the whole night together and I realized how much I enjoyed his company. That was pretty much all it took for me to know that he was the one I was falling for, not Mr. Crush. It wasn't long before Mr. Crush realized what was happening. I'm sure he could sense the awkwardness every time all 3 of us were in the same room. It was honestly one of the most emotionally taxing times of my life! I cared for Mr. Crush and did not want to hurt him! I knew he would be hurt when he found I did indeed want to date his roommate. Needless to say, one day it all hit the fan! Mr. Crush and I broke up ~ unfortunately the before or the day of Valentine's day! It was terrible. We still went out since the plans had already been made and tickets already purchased, but it was so hard! I felt terrible and actually cried a couple of times that night; he just seemed kind of numb so I wasn't sure whether he was hurt or angry or just wanted to get the heck away from me! I got through it somehow. The next day E came over. He knew most of what had happened. We hung out low-key all day; he clearly wasn't sure how I felt and didn't want to push me. He took me to a nearby park where we walked around the lake and just hung out talking until sunset. It was beautiful with the sun on the water ~ all oranges and pinks! He took me back there a little more than 2 years later when he proposed! Of course I said "yes!" and we have been married over 11 years now! Mr. Crush and his wife are actually two of our best friends, though we don't see each other often due to distance. Did I mention that the whole reason I met E and Mr. Crush was because E dated MY roommate Freshman year? Oh well, 'nother time, 'nother post! I love that story! Ahhh, college! I am so glad you stopped by my blog so I could come here! I had a few stories like that in college, not meant to be, as you read in my blog! But I had one long term relationship which came about in kind of the opposite way of yours. One of my BFFs whom I am still friends with and is my child's Godmother, really liked this guy "John". John didn't like her, he liked me, but I wouldn't go out with him bc I didn't want to hurt my best friend's feelings. Finally she told me, "John likes you so much, just go out with him already! I don't care any more." I remember her saying it very seriously, like it hurt her to say it. John and I went out for five years! But he wasn't the one, although he was THE ONE for my first, if you get my meaning. That relationship still hurts, we are not friends, and I don't go to any college functions he may go to. I think it would hurt too much to see him married to someone else. Do you know the part in When Harry Met Sally..."He DID want to get married...he just didn't want to marry ME." Glad to know I'm not the only one who had such an experience! You CANNOT imagine the fall out from these events! I was the victim of lots of cruelty for many, many, months at the hands of people who were supposedly friends with both Mr. Crush and E.